This week I had the privilege to speak at the National Association of Church Business Administrators (NACBA) in Lubbock Texas. I’m always amazed that people will take time out of their schedules to listen to me. So, I owe it to them to be well prepared and succinct. Most places where I speak ask for 60 minutes, sometimes 90 minutes. But this was my first 3-hour workshop. Exciting: since I always push time limits. Scary: I had to keep the interest level for a LONG time. I chose to speak about 4 Simple Things (that every church should know). And since I had a longer time format, I added another topic at the end. Communications (especially Social Media). These 5 things are the music of my heart. I love to share about them. Anyone who speaks to audiences knows that the speaker gets takeaway messages too. From questions asked, discussions had with attendees, and the reactions when you’re speaking about various sub-topics. Manage. Pastors, Business Administrators and Media Managers have a hard task of management. But it has to be done. If you’re doing everything that comes your way, in the order it comes to you; you’re not managing. You’re just doing. And if you have a team under you; and you’re not delegating most of your work (and giving them the responsibility of getting it done), you’re not managing. It’s also difficult managing volunteers. A simple tip? Everyone loves to help in ministry; if they have clear parameters of what success looks like. IMPORTANT: you have to hold people to that pre-determined standard; or explain choose someone else. Remember to praise and encourage along the way. Simplify. You’re part of complex ministries. Lots going on. Strategies are quite different. But your Objectives must be the same. Your vision for your church must be simple. It must be remembered. And it must be reinforced with every strategy, website page and communications tool. Know what it is? It’ll be different for every ministry. But you must determine it. Part of simplification is the ability to edit. Most people (including me) write too long, talk too long and create too many steps. Become a great editor! Unify. Get people to work towards that Vision. Everyone wants input, but at a certain time, you must unify the team. And your congregation. There is a really good reason that each of your ministries are part of your local church. Find that reason, clarify it, and communicate it. In unison. 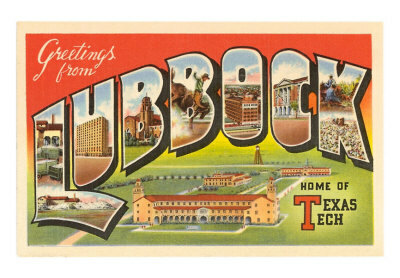 It was my first time to go to Lubbock — but I hope it won’t be my last. They have great ministries, churches and people. Nice folk! I attended your workshop at FBC Lubbock and I want to thank you for coming all the way out to the panhandle. Our group enjoyed the workshop and I personally came away with good information for our youth website. You submitted a lot of important and valid information. I’ll be interested to see how this information, and the attitude towards technology, changes in the next 5-10 years. It was great to meet you! And thanks for the comment 🙂 Lots will change in technology in the next 5 years — guaranteed! This workshop is a big help. It’s a good thing that you always share things like this online. many people nowadays are internet connected. Hope they’ll also visit this site!